I had great hopes for this book. First I off, I had complete cover lust. I mean look at it. It's just so pretty. And I knew there was going to have to be symbolism in it. There just had to be. So that pulled me in. And then the premise reeled me in. Paranormal element, check. Takes place in England, check. Hot boy, check. And then I found out it was a retelling. And while I never read the book it's based on, I was hopeful it would play out well. Imogen has lived the last seven years in America trying to keep herself out of any spotlight. Ever since her parents died, her guardians have made sure she has been taken care of, and that includes not having contact with her relatives in England. But her pull for Rockford Manor, the place she spent summers as a child with her cousin and best guy friend. When tragedy strikes, Imogen returns to her roots to take her place in the royal family. My issues with Imogen started while she was still in New York. She snuck around behind her guardians' backs to find out information that was being kept from her. While I understand her curiosity, I don't agree with how she went about it. I don't think a teen would do what she did. I also felt no real connection to her. I could not sympathize with her. And I didn't feel her connection or respect for her guardians. I did see how she was very loyal and protective of her "sister." My next issue was with her love for Sebastian. I just didn't get it. She's been in love with her since she's ten, really? And even though she's been apart from him for seven years, she still feels the same, immediately upon seeing him, even though she doesn't know him? I just didn't buy it. Sebastian was a nice enough character, but I will say I cannot picture him in my mind at all. I have no idea what he looks like. And he made me mad the way he treated Imogen and then turned around and confessed himself to her like it was there all along. I didn't feel that tension or pull that he had toward her. It just didn't feel real. I liked Lucia's character. I liked the twist. But I wasn't convinced that they could pull it off, no matter how much Rebecca and Lucia looked alike. Given the fact that she and Imogen were so close I would have thought Imogen would have figured things out sooner than she did. Or at least have been suspicious of it. The writing was really good. I think Monir did a great job of world building. I really liked the imagery she presented when describing NYC. Being a native there, I could really picture it in my mind. I would have liked more about the property in Rockford, though. And I didn't feel like the Maze was a necessary part of things. I mean, it had it's secrets, but I feel like it could have been the house itself, which would have really make more sense to me. But once I learned about the maze, I did understand the cover of the book. I liked the idea of the paranormal element, but I felt like it was lacking in it's building. I knew something was off, as we kind of get a glimpse of it at the beginning of the book. But I don't really see how it fits in the story completely. Why was it important to it overall? It didn't seem to lend anything to the plot and it didn't seem to really help the main character solve the mystery. From what I can see this is a stand alone. It started out with a big bang and pulled me in, but it didn't really follow through. And the ending certainly wrapped it up that way which is nice as I am not sure I would continue to read if it were a series. Author and recording artist Alexandra Monir broke onto the scene in her early twenties with the release of her popular debut YA novel, the paranormal romance TIMELESS (Delacorte Press/Random House). The book caught on quickly, landing on the Barnes & Noble Bestsellers chart and being named one of Amazon's "Best Books of the Month." The sequel, TIMEKEEPER, was published in 2013. Both books in the series have been featured in a variety of media, from USA Today to teen magazines and websites such as J-14, JustJaredJr, Teen.com and Justine Magazine. 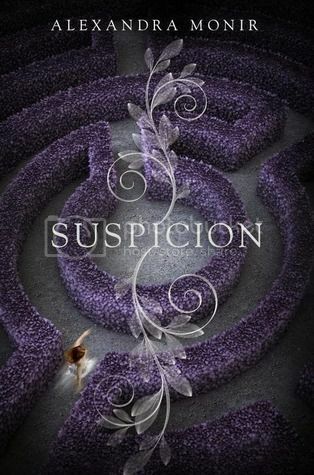 SUSPICION (Random House; December 9, 2014) marks Alexandra's first novel outside of the Timeless series, as well as her first foray into the mystery genre. Her fourth YA novel for Random House will be published in April 2016. 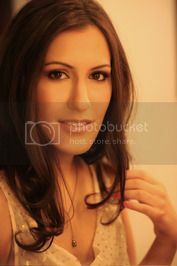 Alexandra is also a singer/songwriter, known for integrating music into her books' pages. She wrote and recorded three original songs to accompany TIMELESS and TIMEKEEPER, which were released as the album "The Timeless EP" and distributed by Jimmy Buffett's record label, Mailboat Records. She additionally recorded a new song to be released along with Suspicion, and is composing a stage musical geared toward Broadway. Alexandra is the granddaughter of the late Monir Vakili, the foremost Persian opera singer. Alexandra currently resides in Los Angeles, California. She has been invited to speak at middle schools and high schools across the country, and at major events including Comic-Con, Bouchercon, the Iranian-American Women's Leadership Conference, and New York Public Library's annual Teen Author Festival, among others.